Dorothy Cross Haley, age 93, of Danville, VA, passed away on Wednesday, November 28, 2018 at SOVAH-Danville. Mrs. Haley was born on May 31, 1925 in Rockingham County, NC, a daughter of the late Bennie C. Cross and Helen Hardy Cross. 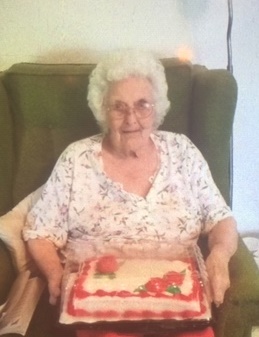 She lived most of her life in Danville and was a member of Cascade Baptist Church. In addition to her parents, she was predeceased by a brother, Millard Cross and a sister, Helen McDaniel. Funeral services will be conducted on Saturday, December 1, 2018 at 2:00 PM at Swicegood Funeral Home with the Reverend Bill Soyars, Jr. and Reverend Billy Scearce officiating. Visitation will be held on Friday evening from 7:30 until 8:30 PM at the funeral home. Interment will follow the service at Floral Hills Memory Gardens. Swicegood Funeral Service is respectfully serving the Haley family.